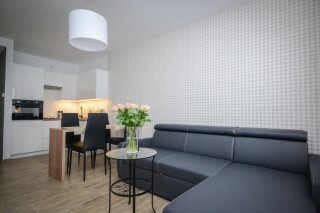 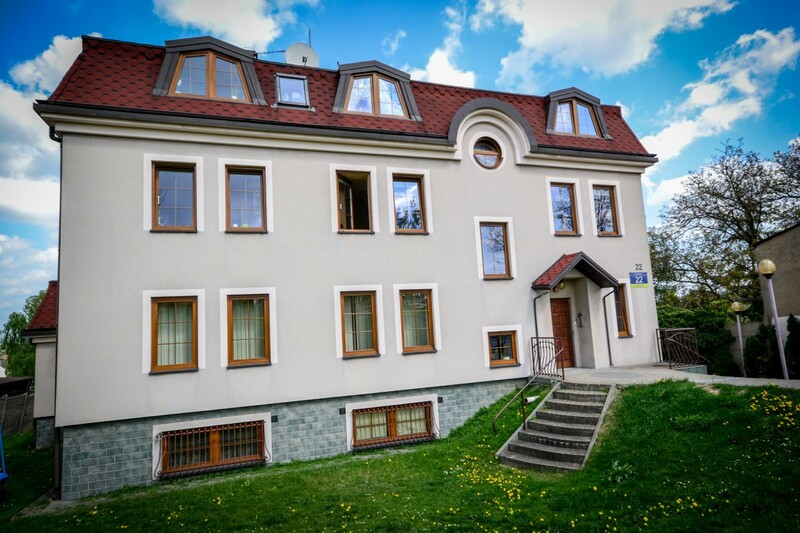 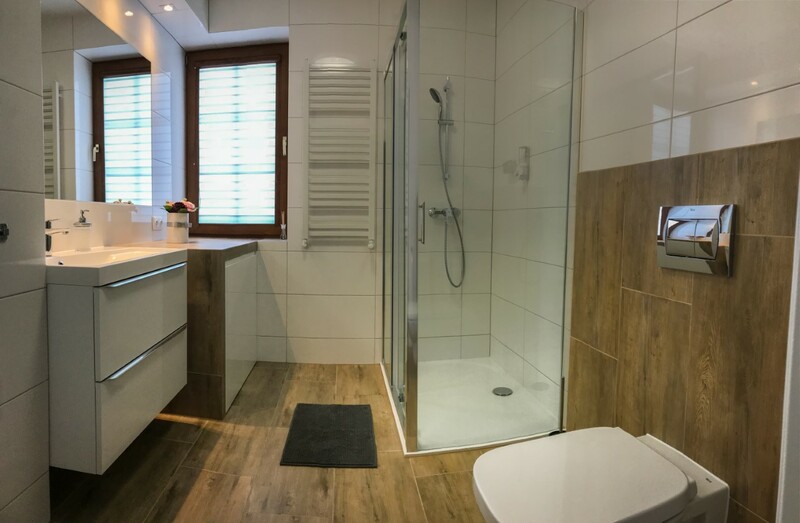 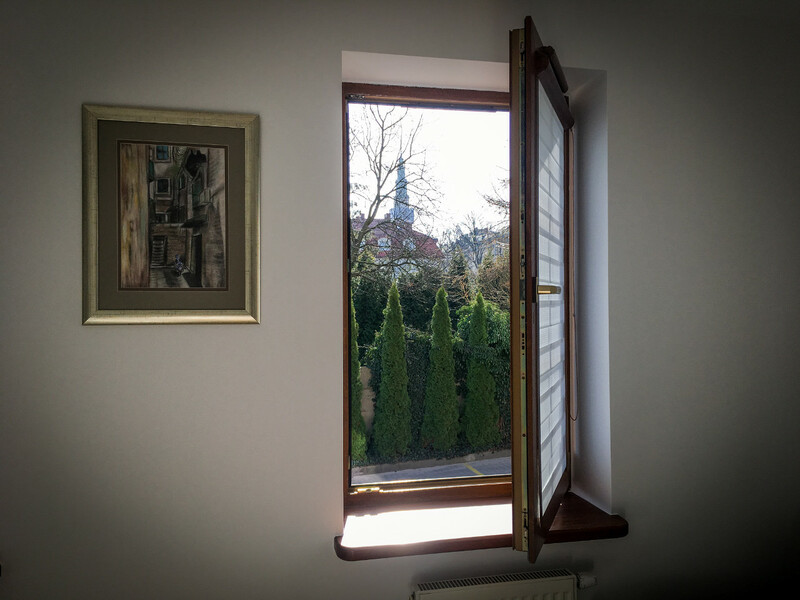 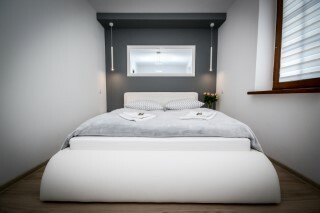 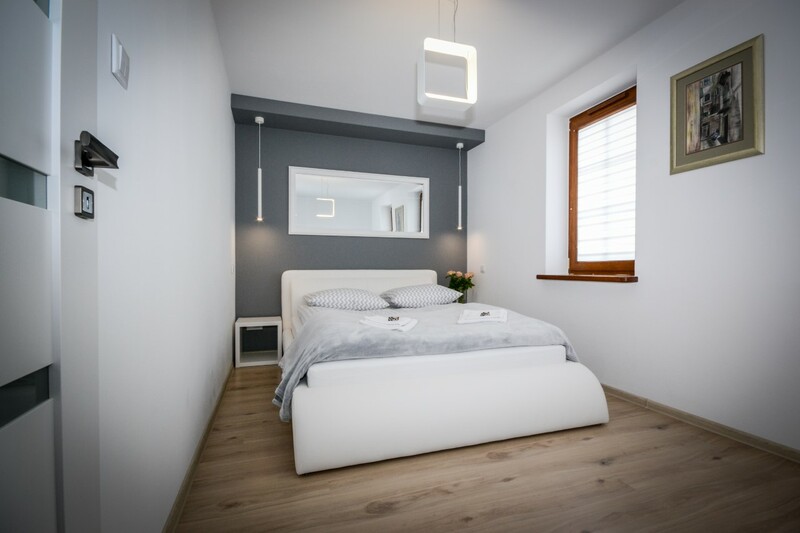 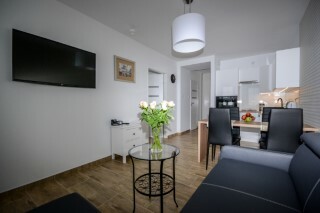 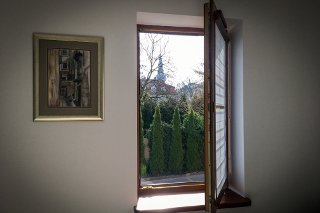 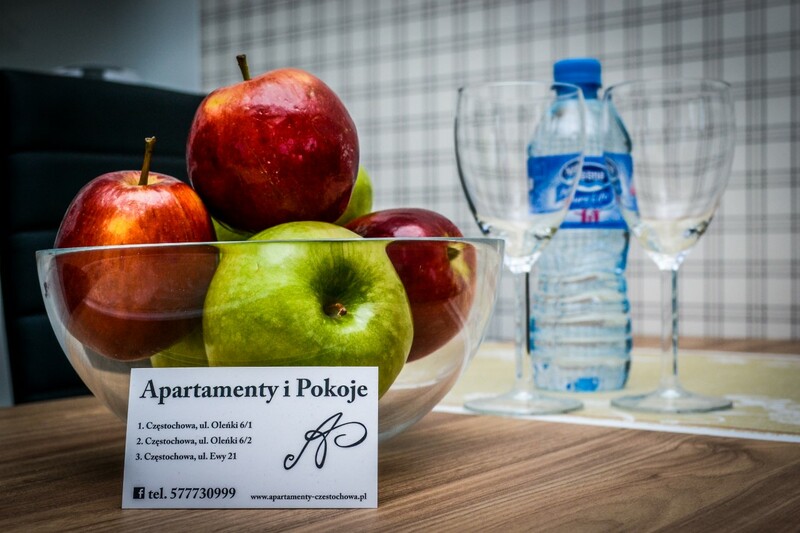 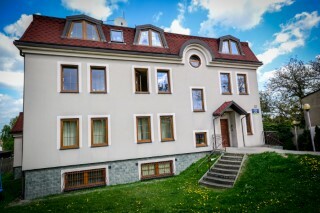 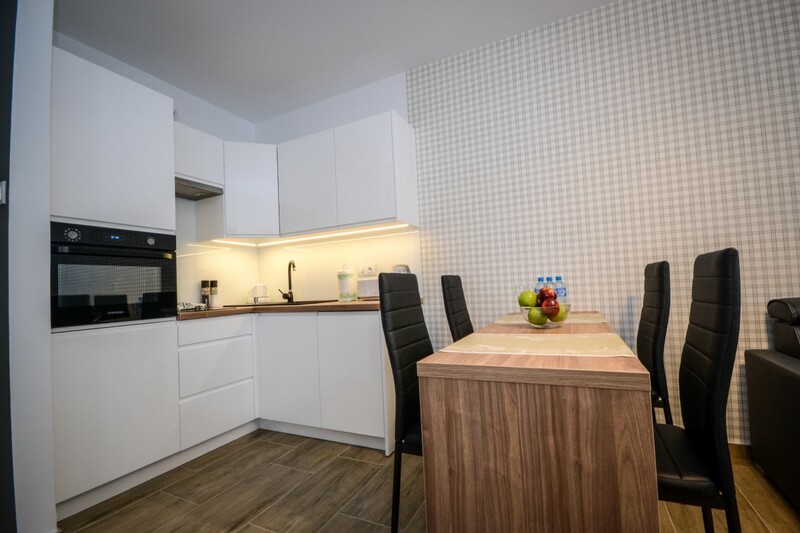 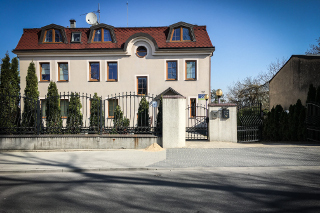 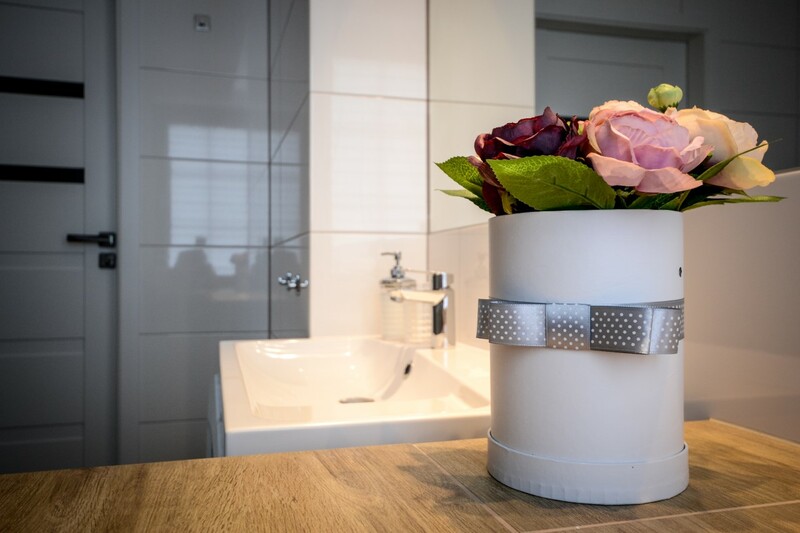 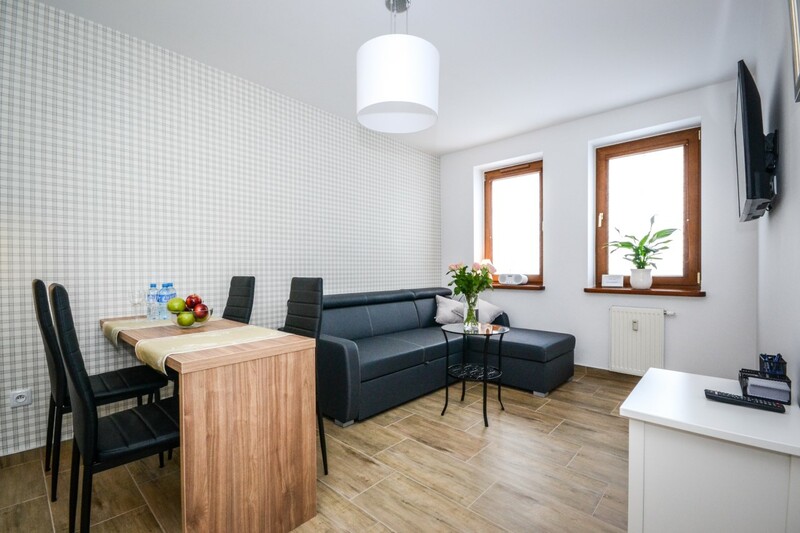 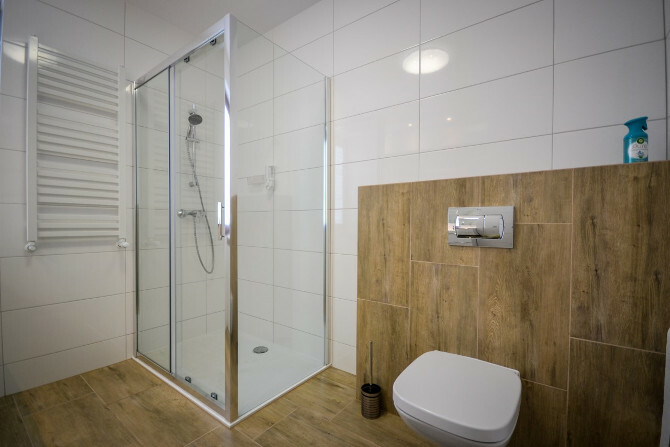 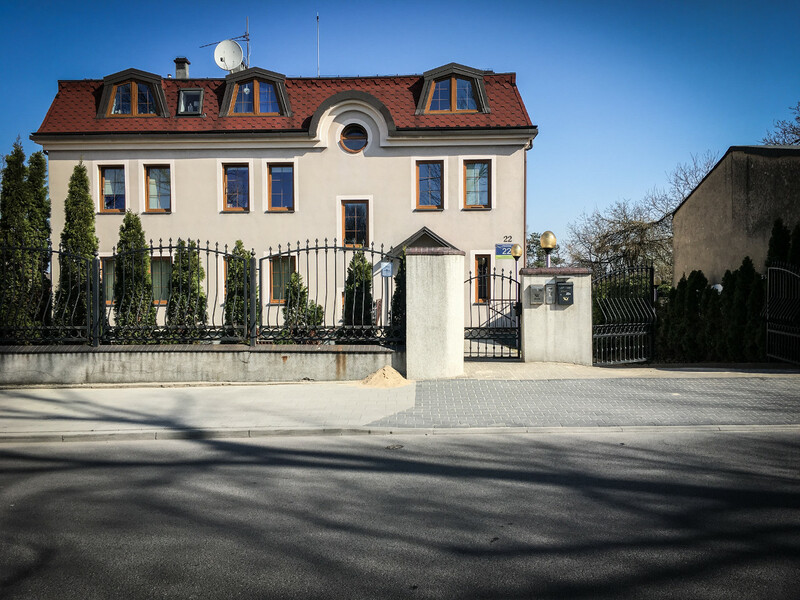 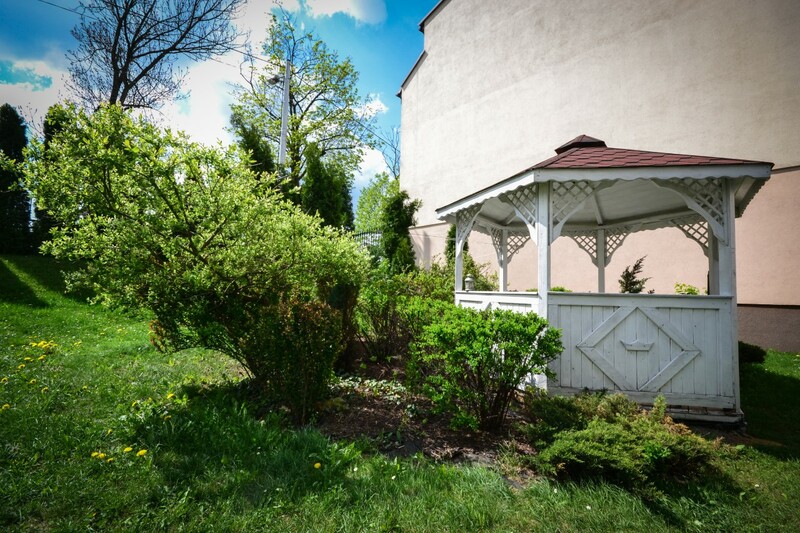 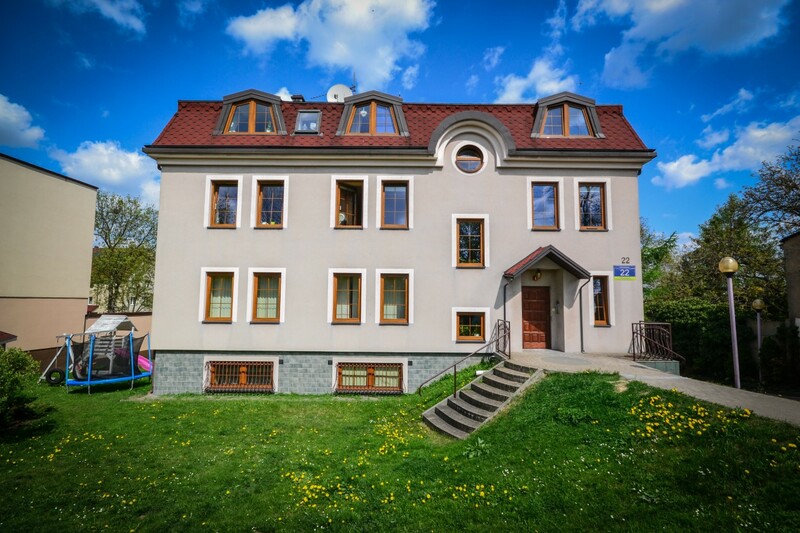 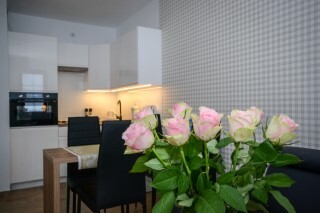 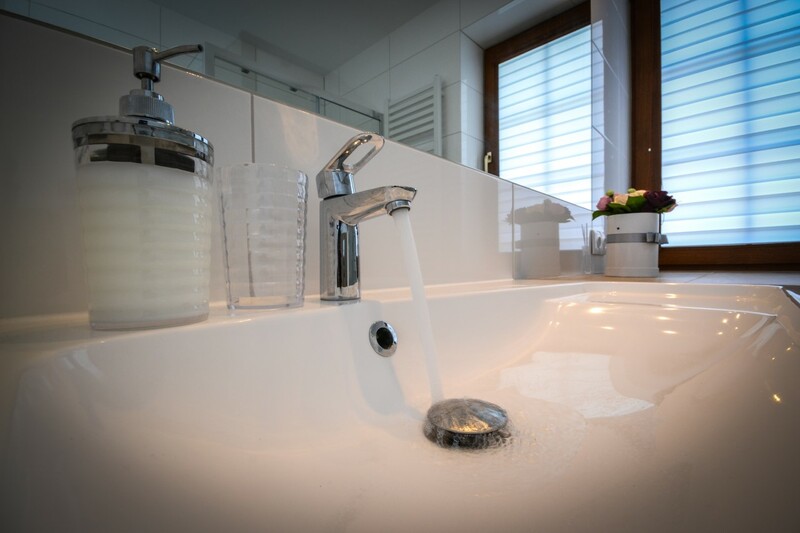 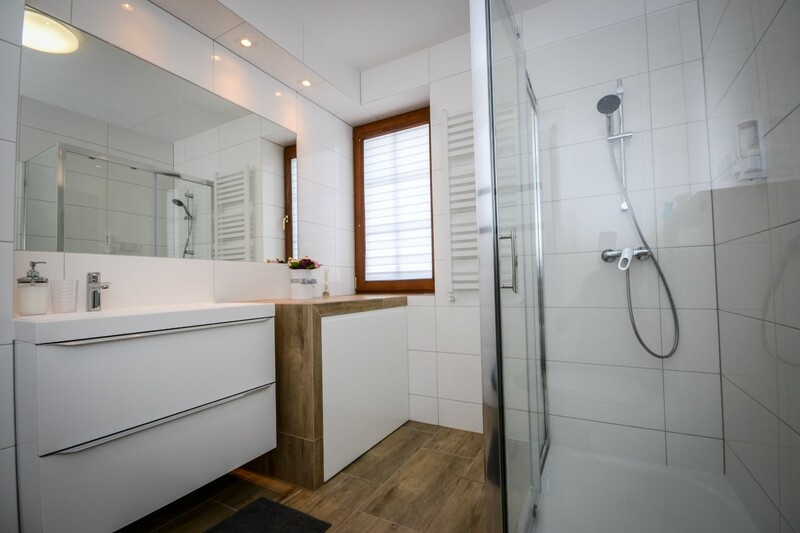 It is a great pleasure for us to invite you to an apartment, which is situated at a direct neighbourhood of the Jasna Góra Monastery in Częstochowa. It means just a few-minute-walk to the gates of the Sanctuary and simultaneously to the city centre. 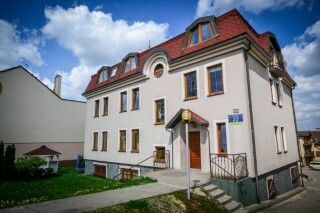 The flat is placed in a two-floor building, which is set on a closed estate of just two buildings. 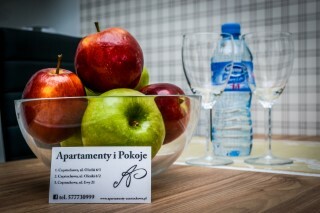 It assures free parking place in front of the apartment’s windows. 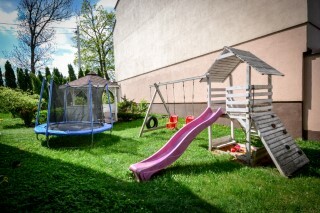 In the garden there are a bower, a trampoline and a playground for our little guests. 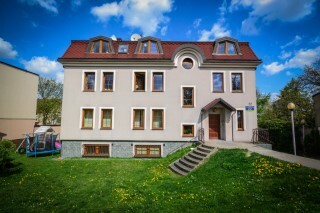 The apartment is placed on a ground floor. 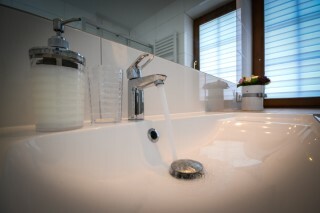 The automatic-coded locks are used in order to facilitate a procedure of key-collection. 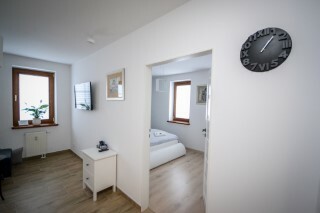 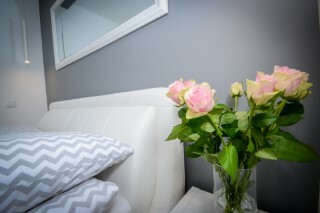 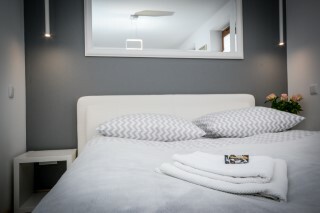 We offer accommodation for one to five persons. 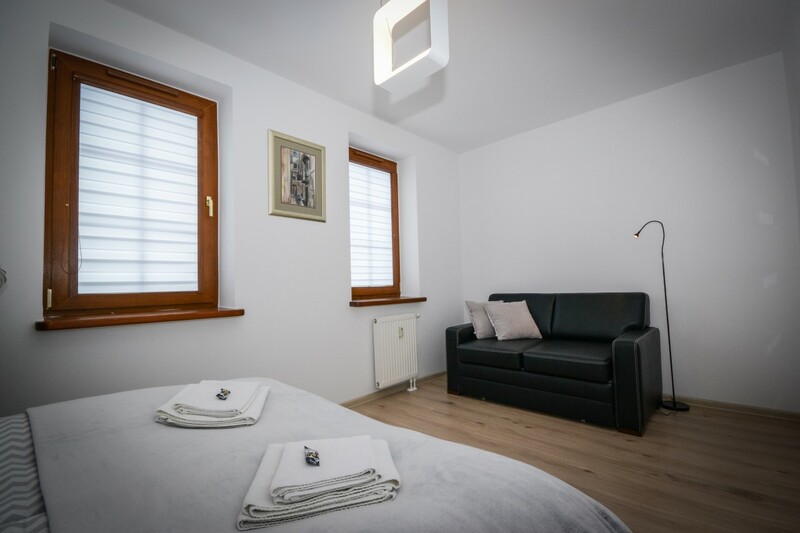 A baby cot for your infant can also be provided. 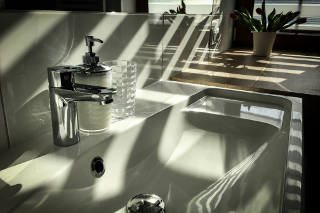 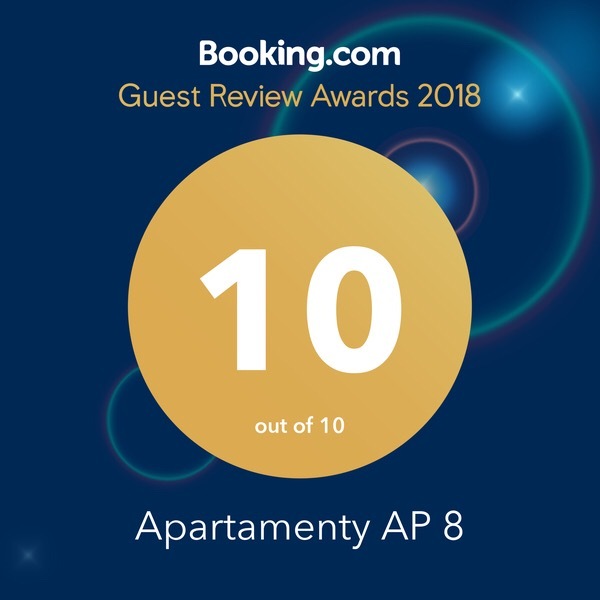 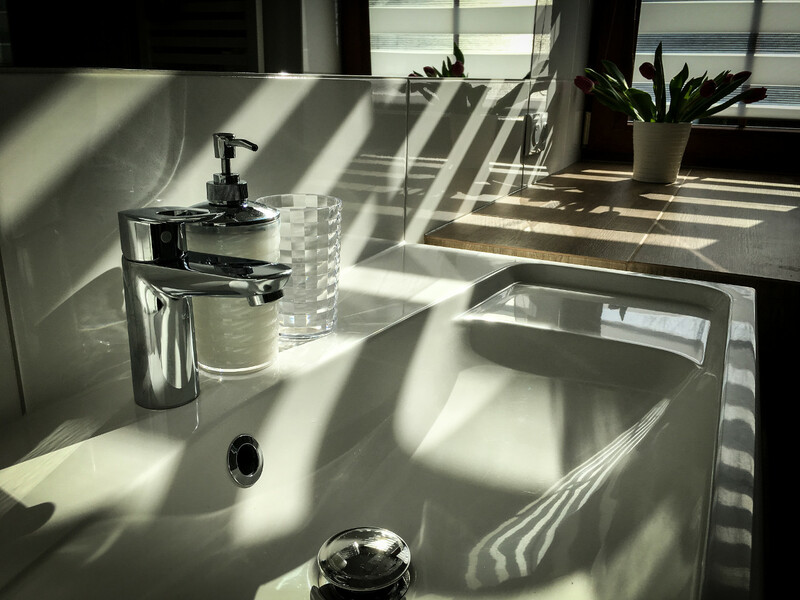 You can enjoy our apartment which features a large room with a seating area, an open-space and fully equipped kitchen, a bathroom with shower and a bedroom wit an additional sofa.